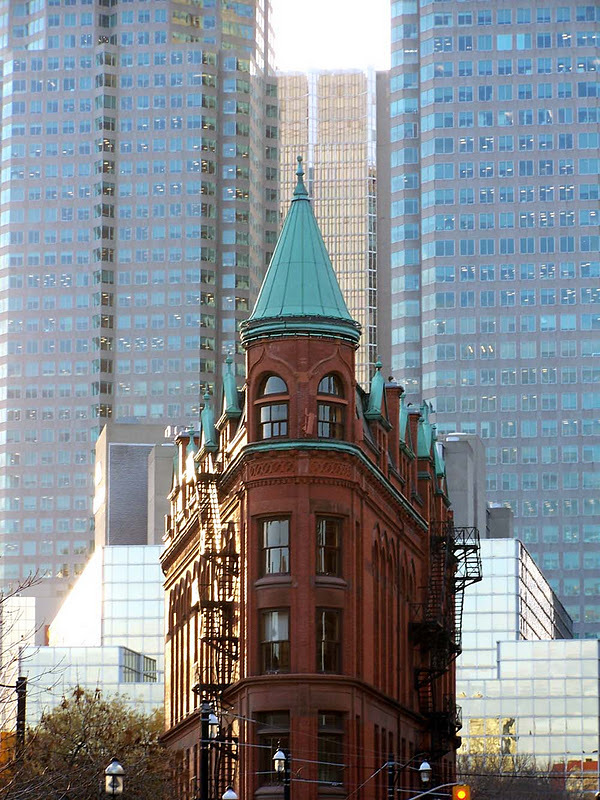 A big $15.29 million dollars later and the famous #Toronto landmark goes to the Commercial Realty Group in a deal brokered by Brookfield Financial Realty Group. 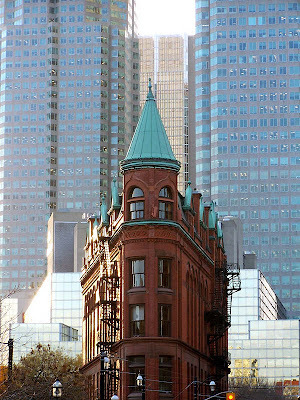 I love this building located at 49 Wellington Street and find it hard not to take pictures of it whenever I am in the area. 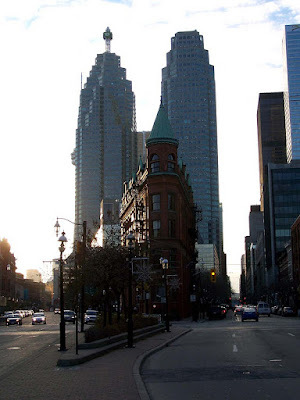 Clayton Smith's group now owns six properties in Toronto's downtown core. 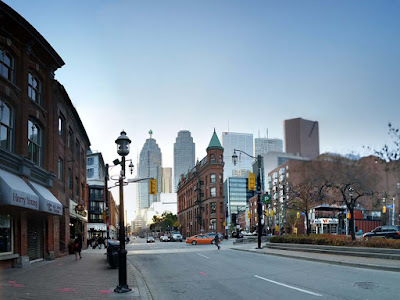 The buildings' rounded edges, deep red bricks, the unusual mural on the western wall, the park in the back (Berczy Park) and the tight thong and bikini top it wears in the summer makes this a primo postcard view. If they could get a nickel from everyone taking a picture of the building they would be rich, well richer than they already are. 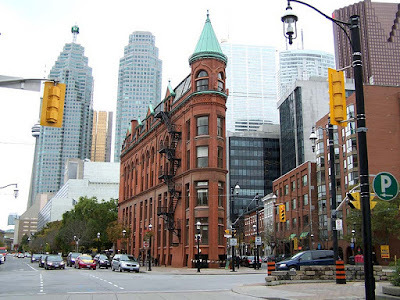 From the Marketwire news release "Located at the junction of Front and Wellington Streets, the sandstone building is in a Romanesque and Gothic revival-style with a circular tower at its apex. The property comprises a total commercial rentable area of 19,193 square feet throughout its 5-storeys and raised basement. The interior of the Flatiron Building is known for its uniquely shaped offices which feature exceptional views that look directly upon Toronto's St. Lawrence Market District and the downtown office towers. The property was completely restored in the late 1990's, and today features some of the finest office space in Toronto's Financial Core, blending functional, trend-setting work space within a "brick and beam" setting."